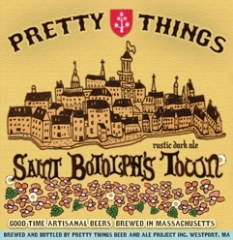 If you’ve ever read a bottle of Saint Botolph’s Town, you know that Boston is named after the 8th century saint by the name of “Botolph”. Known as the patron saint of travellers, old Saint Botolph will no doubt look over us and perhaps cast his blessings as we “travel” pub to pub in celebration of his feast day. This year we’re moving our Botolph’s crawl to Cambridge. Why not celebrate that fine city of Boston and it’s patron saint from across the Charles? Okay, it may be slightly ridiculous but that’s the way it’s going to be! On an event like this times are slightly changeable (especially as the evening goes on). So please consider adding “or so” to all times! Follow us @prettybeer on Twitter for location updates as the day marches on. See you there, or if not there, then somewhere, soon!